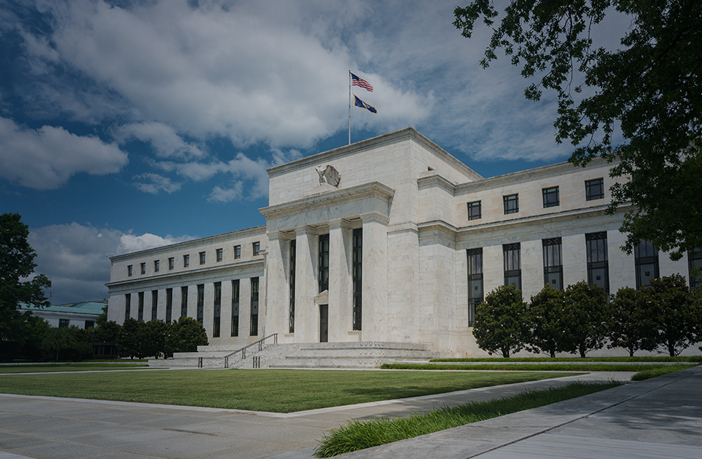 You are at:Home»Articles»How Do Fed Rate Hikes Affect The Value Of The Dollar? Every trader knows that changes in the federal funds rate will always somehow affect the U.S. dollar, but the question is how? The market consensus that the dollar is almost certain to rise in value after a US interest rate increase is wildly inaccurate. Why does the increase or decrease rates? Before delving into the way interest rate hikes or cuts can affect the USD, it is important to understand why these key interest rate adjustments are made in the first place. The Federal Reserve has long come to the conclusion that the best way to achieve full employment and stable prices is to set the inflation rate of the dollar at 2%. When the economy is weak, inflation naturally falls; when the economy is strong, rising wages increase inflation. Keeping inflation at a growth rate of 2% helps the economy grow at a healthy rate. During the recent recession of 2009-2013, the The Fed has kept interest rates very low because a lower federal funds rate supports business expansions, which leads to more jobs and higher consumption. This has also worked to keep appreciation of the U.S. dollar low. In more recent years however, with the growth of the U.S. economy, the Federal Reserve fears that eventually inflation will increase beyond their 2% target. To prevent this eventual increase in inflation, the Fed now gradually hike the federal funds rate and reduces inflationary pressure. How do rate hikes affect the USD? Although it is true that under normal economic conditions, increases in the federal funds rate reduce inflation and increase the value of the U.S. dollar, this does not mean that it is 100% certain that with every rate hike there will be an immediate increase in the price of the dollar! In fact the very opposite may happen. In some cases the USD will record a steep fall right after a rate hike and then gradually recover, but how is this possible? As a trader, it is important to remember that you are trading against the markets and that you are essentially trying to predict what the direction of the price of an asset will be in the future. It is also important to keep in mind that just as you have access to this wonderful tool that is the internet and you get to read to-the-minute news on countless of sites, so does the rest of the world. So if chances of a rate hike are 100%, the price of the dollar is most likely to begin increasing well before the actual rate hike and just as the Fed chair makes the announcement the USD could edge even higher but it could also fall steeply on profit-taking. This goes to say that if the markets are already expecting something to happen, they have probably already acted upon the news. BDSwiss offers a free Economic Calendar on all the major market events and data releases along with popular consensus. 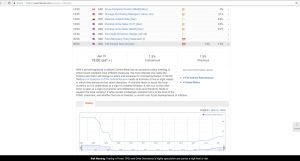 If you click on a specific event, in this case the “Federal Reserve Interest rate you will find more information about the event, the market consensus or forecast as well as a chart of historical data. As a trader, you need to take these analysts’ forecast and current price action into consideration and always think two steps ahead before attempting to trade such major market events.